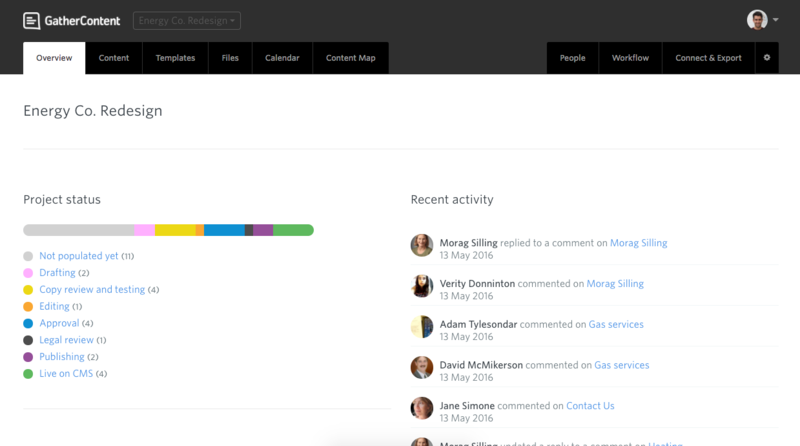 When you open your project from your Account Dashboard, you're directed to the Project Overview. This shows an overview of the project's workflow, how many Items are in each workflow status, as well as a list of all Items that are assigned to you. You can also see a stream of all the activity in the project, so you can see what's currently happening in the project, and click through to the Item that's been worked on. You can click on one of the workflow status' to see a filtered view on the Content tab, showing only Items in that status. Click any Items under the 'Items you're assigned to' section to open the item and begin editing. Tip: The Project status progress bar only shows the progress of Items that you've got access to. 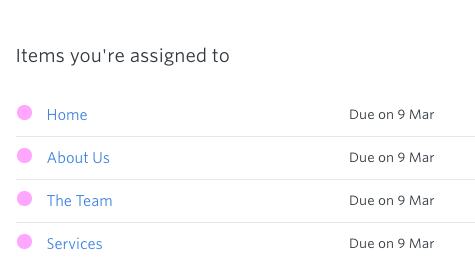 If you've got access to all Items within a Project, the progress bar will reflect that.